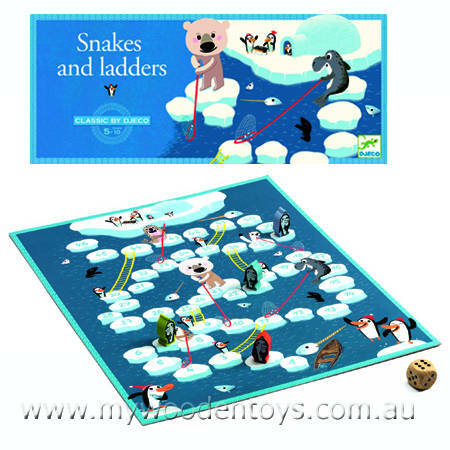 Players have to try and get their little wooden penguin to the igloo at the end of the board by rolling a dice and moving that number of squares. If you land on a square with a polar bear you have to slide down the net all the way back to the square it touches. However if you land on a square with a ladder you get to waddle all the way up. We like this because: "Great version of a classic game."